For the re-engagement of 463 eligible individuals at the posts of Station Master, JE, and Other Posts, Central Railway has released the employment notification named as Central Railway Recruitment 2019. Those individuals who want to rejoin their job can apply for the said vacancies. In order to apply individuals have to submit an application form via the offline process. 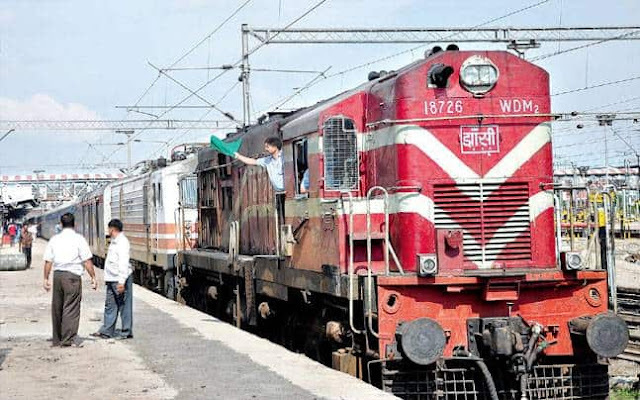 A staff who was retired from the Mumbai division of central railway must be from the same department for which the notification has been issued. The maximum age limit for the re-engagement of employee is 65 years. Individuals will get the pay scale by reducing pension from his/her last pay drawn, (i. e. Basic +DA) at the time of retirement. After going to the home page you are required to take your cursor towards “News & Recruitment” section. A drop-down list will appear at your screen now form the drop-down list now go to “Recruitment” link and then press “Notification” link. A page will be appeared at your screen press “Re-engagement of Retired staff on Monthly remuneration basis in exigencies of services on Mumbai Division, Central Railway (TOTAL -463 VACANCIES)” link. PDF details of notification will appear at your screen read the notification details. Thereafter you are required to print the application form from the below section of the page. Upload the photocopy of Service certificate, Pensioner Identity Card, Pension Payment Order, and other required documents. To (anima Korda) Divisional Personnel Officer for DRM (P) Mumbai CSMT on or before 18 February 2019.